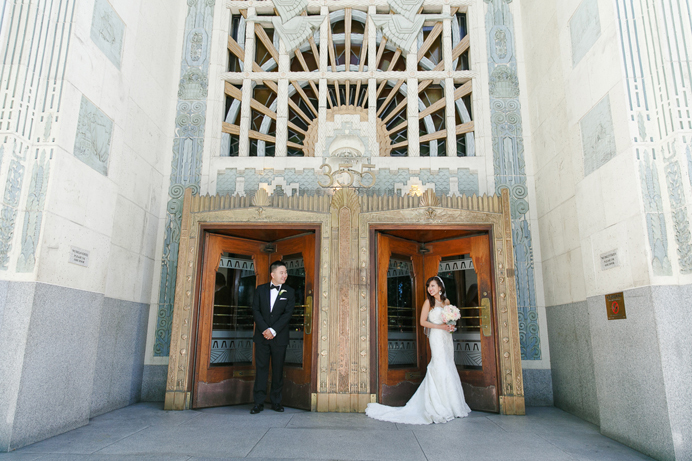 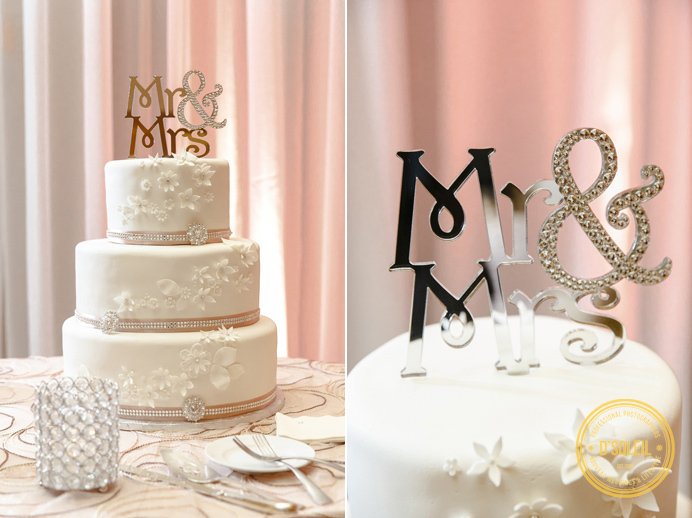 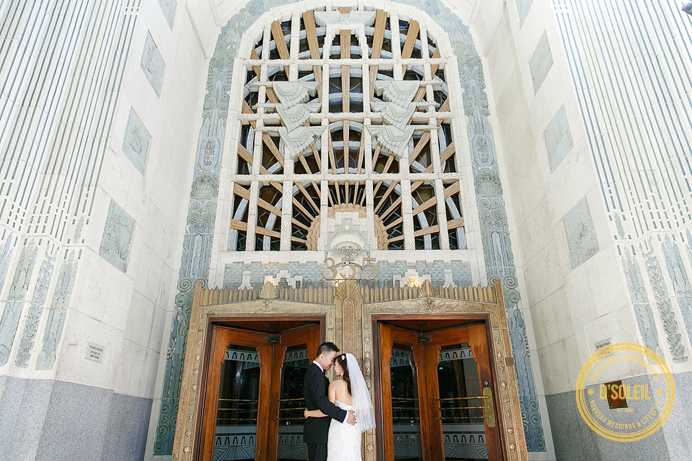 Carmen + Simon celebrated their mid-summer wedding at the Celebration Pavilion and the Renaissance Hotel wedding ballroom downtown. 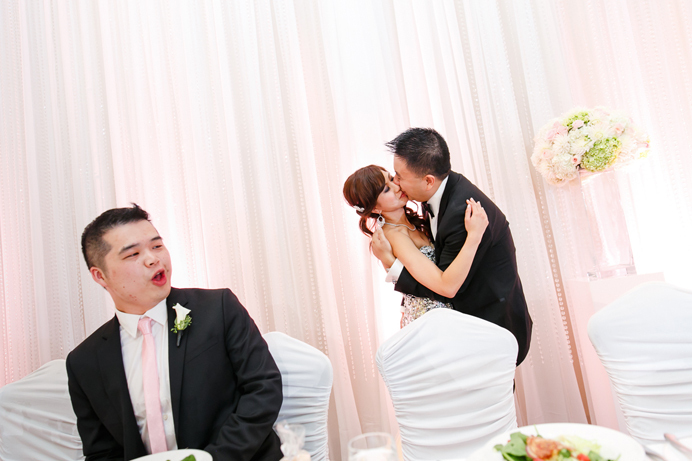 Being a Chinese wedding, Simon had to endure a few fun obstacles (i.e. 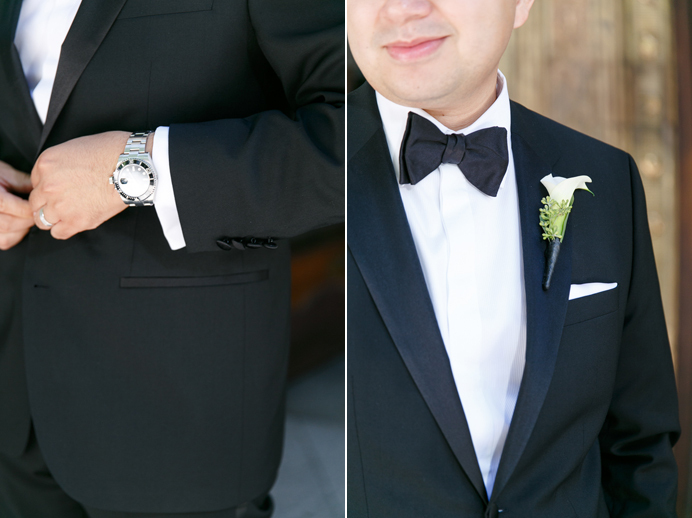 door games) before picking up his bride that morning. 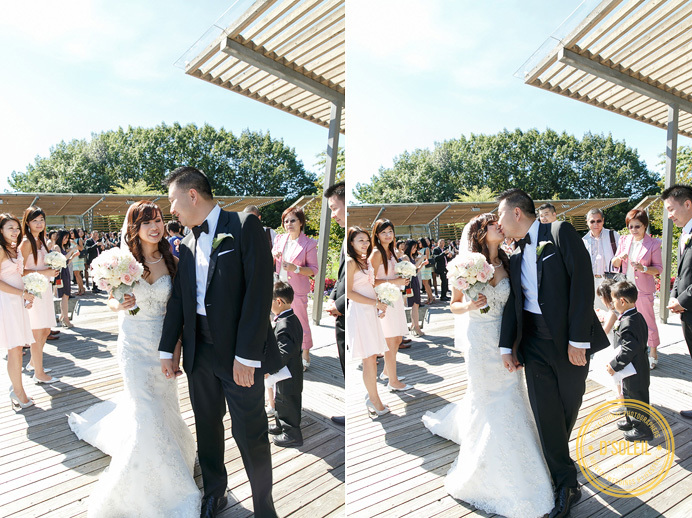 Being a good sport, he and his groomsmen endured a few displeasures at the hand of Carmen’s bridesmaids and friends, and was richly rewarded his stunning bride. 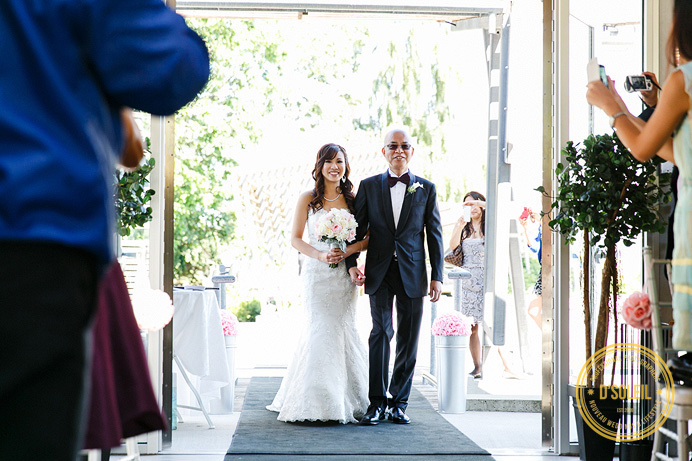 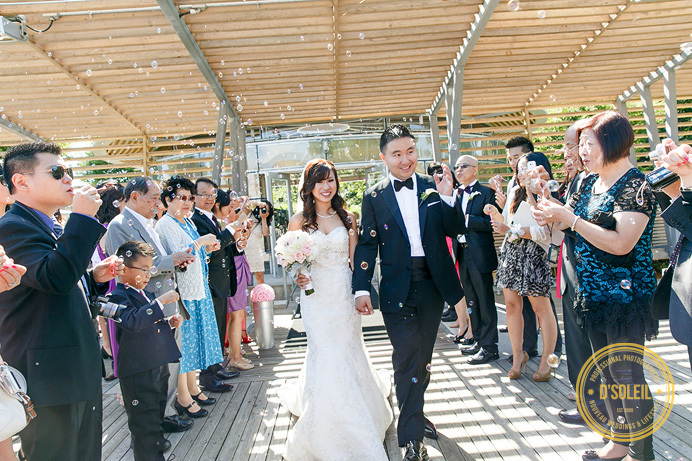 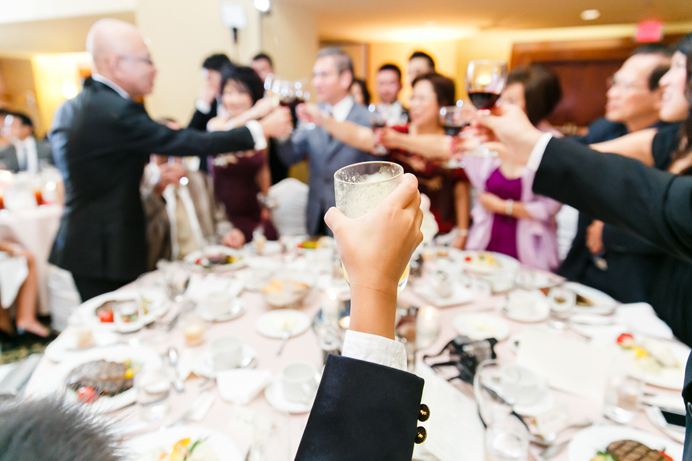 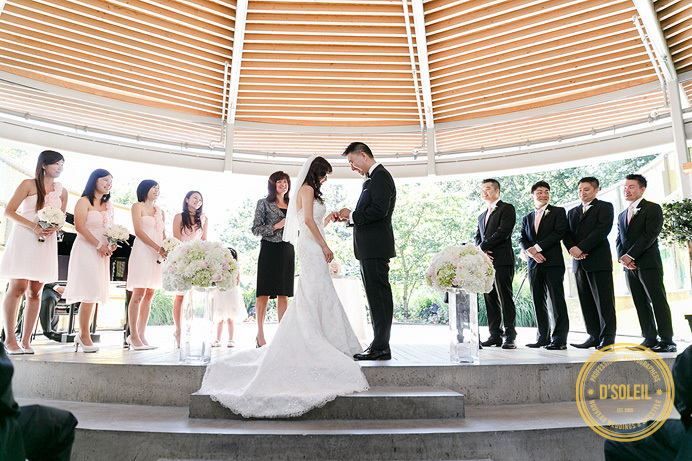 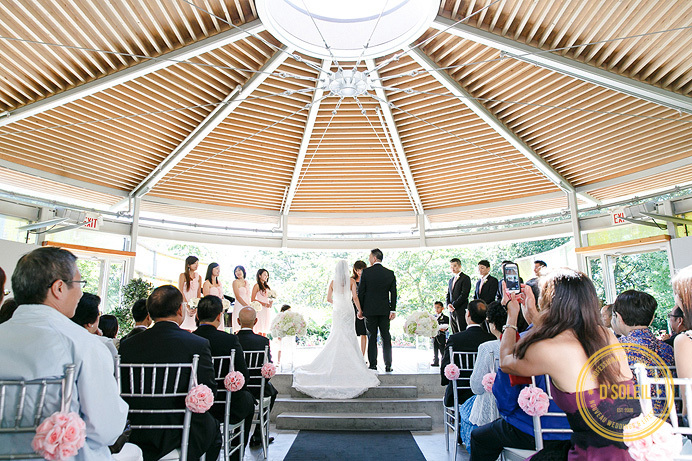 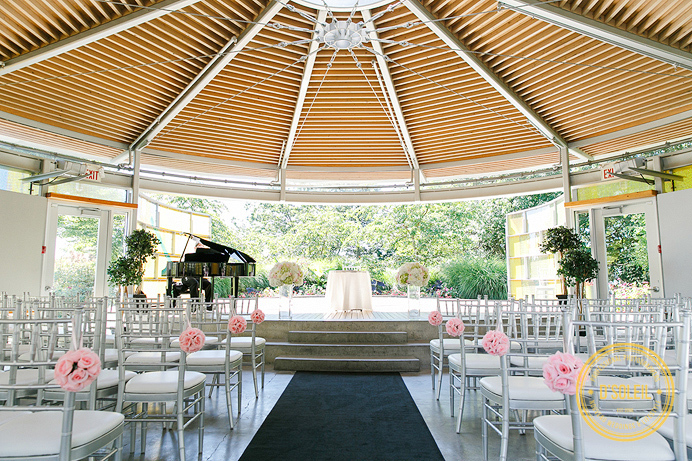 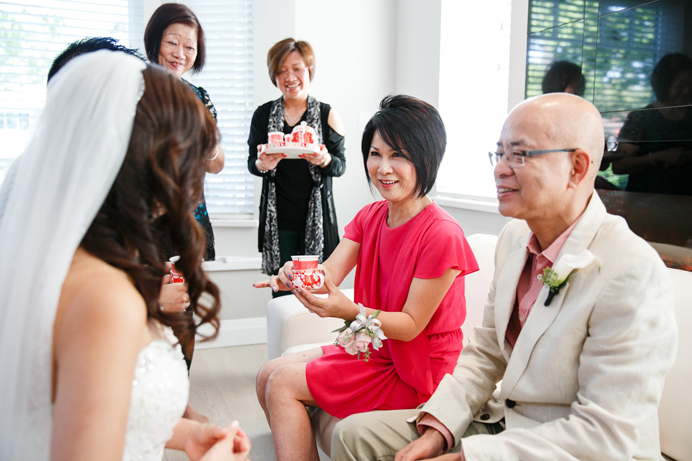 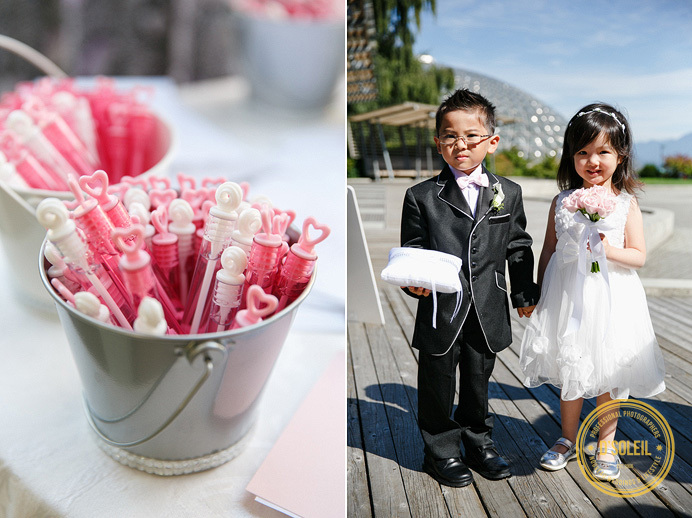 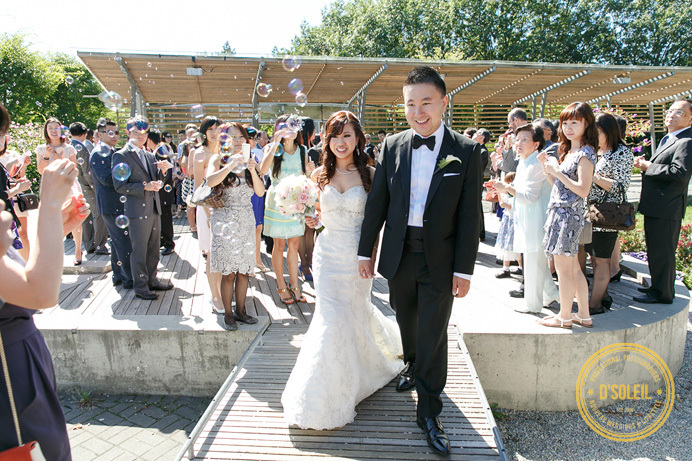 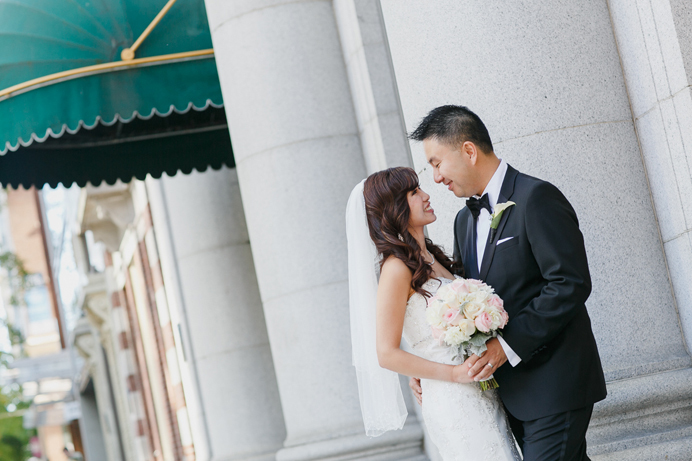 After a short Chinese tea ceremony with Carmen’s family, and then another ceremony with Simon’s family, the wedding part traveled to Queen Elizabeth Park for a Celebration Pavilion wedding ceremony. 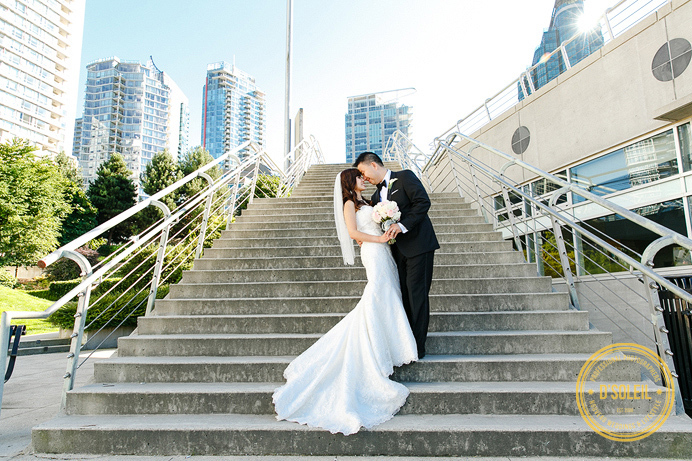 Following the ceremony, the wedding party spent time in downtown Vancouver and photographed around Coal Harbour, the classic Marine Building, and areas nearby the Renaissance Hotel. 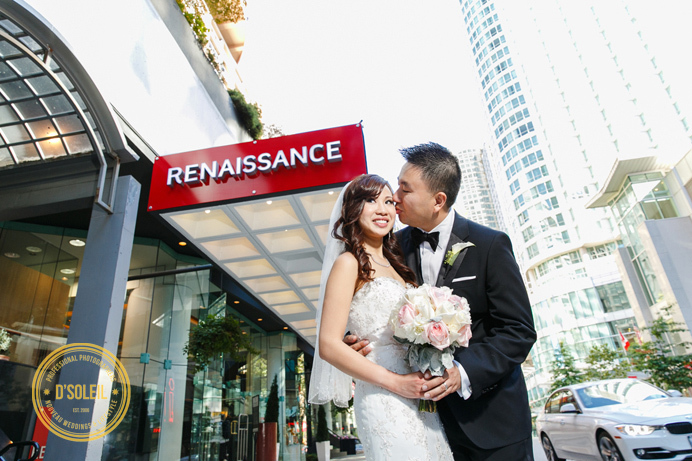 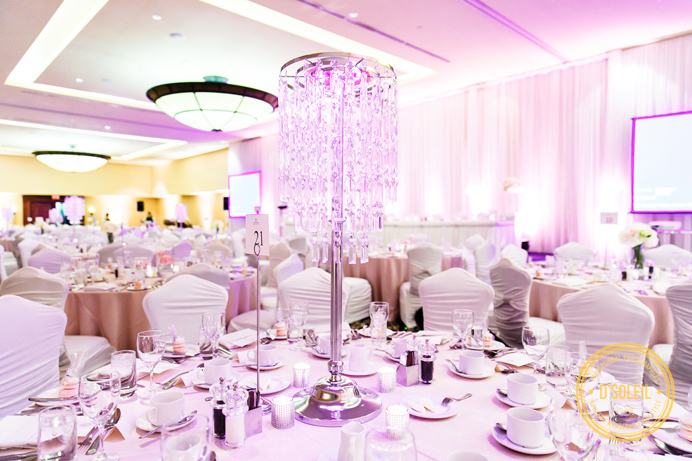 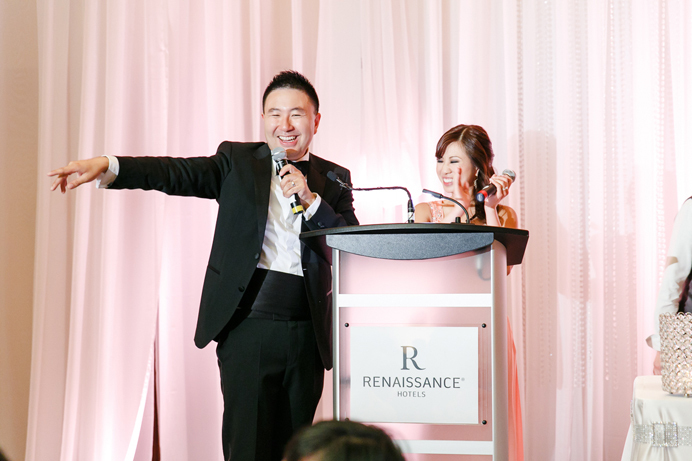 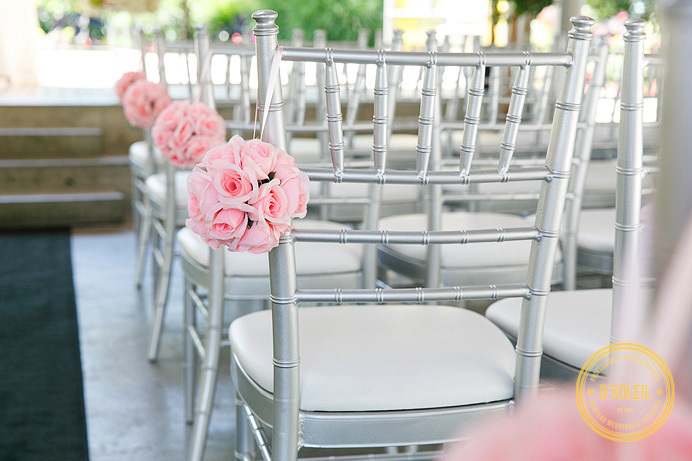 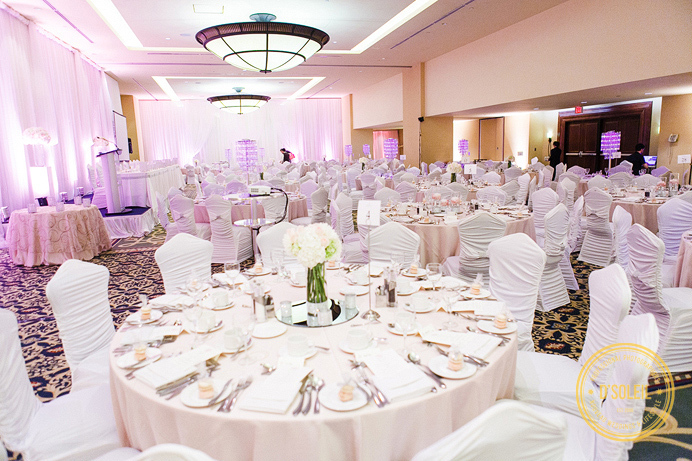 The Renaissance Vancouver Harbourside Hotel is a luxury wedding venue that’s part of the Marriott chain of hotels. 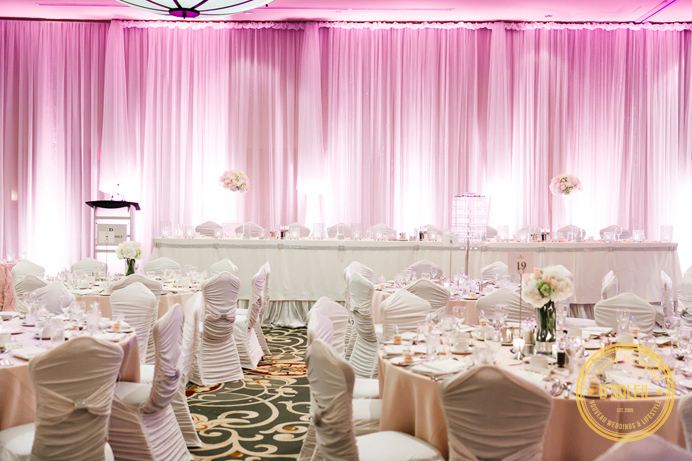 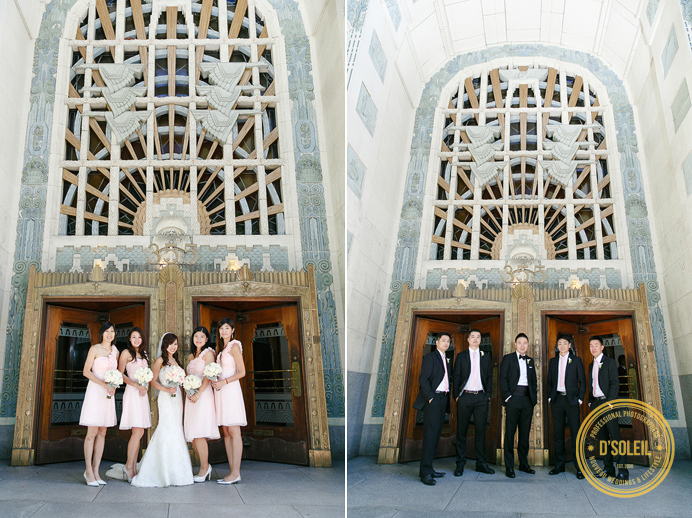 It a huge ballroom and a perfect venue for a large wedding in downtown Vancouver. 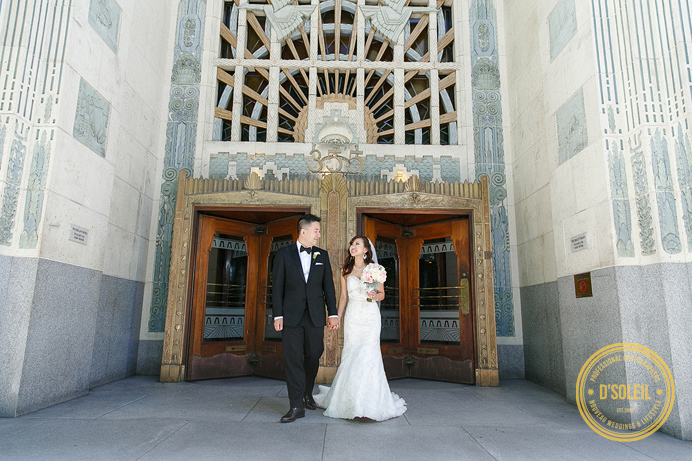 The foyer outside the ballroom is also a large space that can host a large number of guests and a photobooth during cocktail hour. 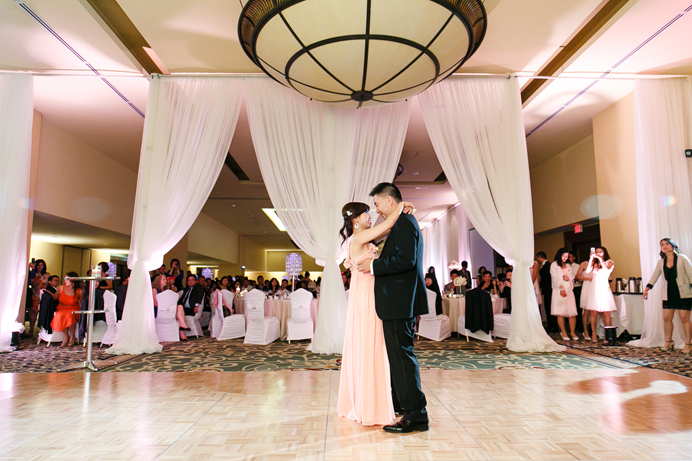 As with tradition, Carmen had two other beautiful dresses that evening, a shimmering silver dress and a peach coloured dress for late that evening when she and Simon took to the ballroom floor for the first dance. 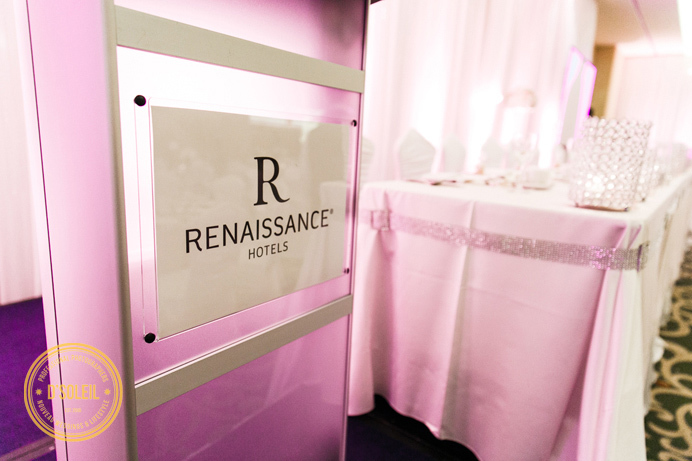 The Renaissance Hotel staff did a fabulous job hosting Carmen and Simon’s wedding reception. 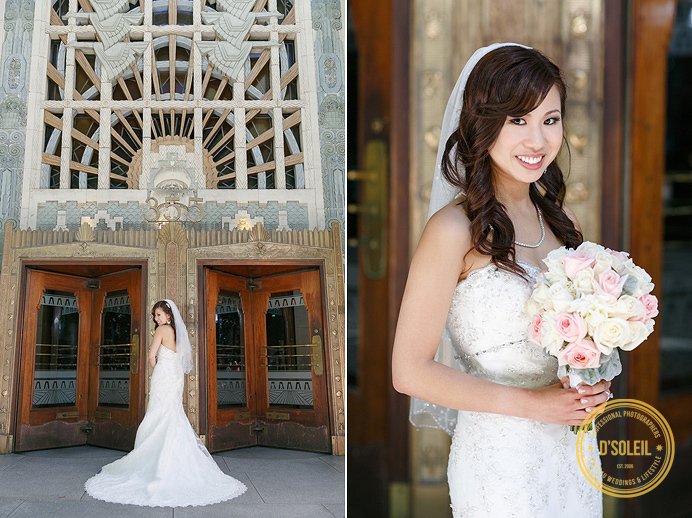 Margaret Lai’s hair and makeup work made Carmen look extra stunning that day, and Erik and his crew from Love Story Media provided video coverage along side myself and photographers Chelsea and Paige that day.